2) You'll be taken to a sign in page. 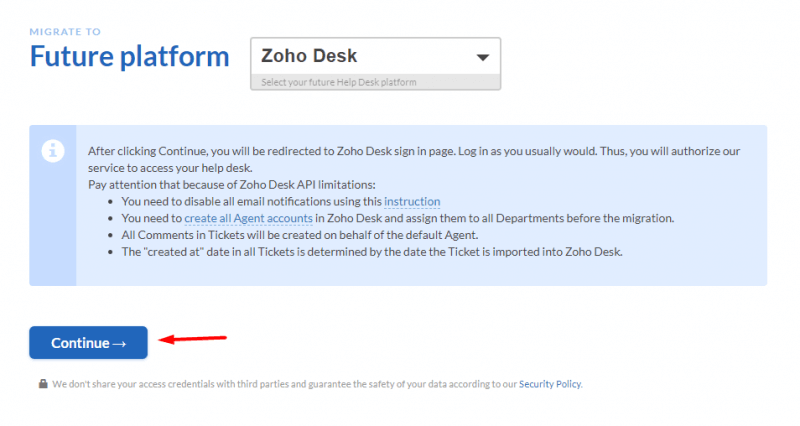 Log into your Zoho Desk account. 4) Continue setting up your migration. 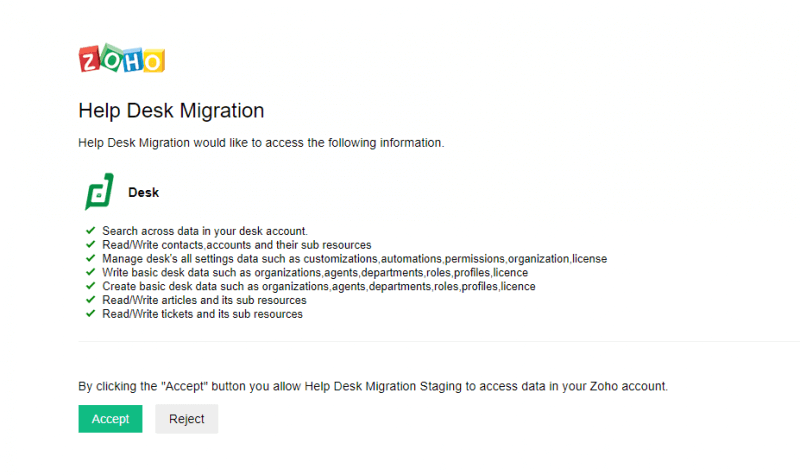 Note that when migrating to Zoho Desk you need to set up agent accounts and disable email notifications.